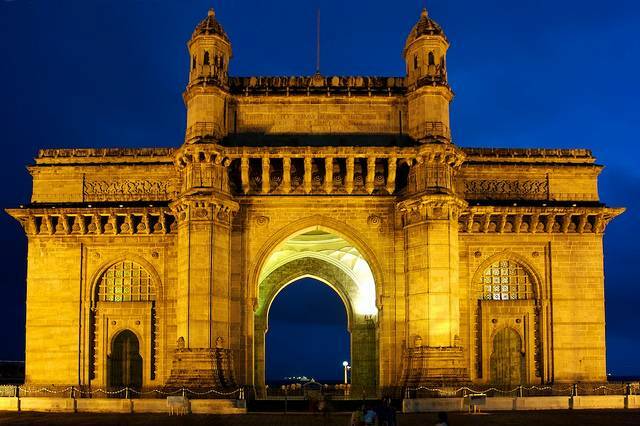 Better known as Bombay, Mumbai "the city of dreams" adorned with numerous cultural vastness, rich history, and golden past, that never disappoints a wanderlust. Mumbai, the city full of dreamers, artists, connoisseurs, and fashion enthusiasts has its own statement of fame and attraction. Despite being one of the busiest city, Mumbai has the essence that compels you to get the town included in your travel itinerary. 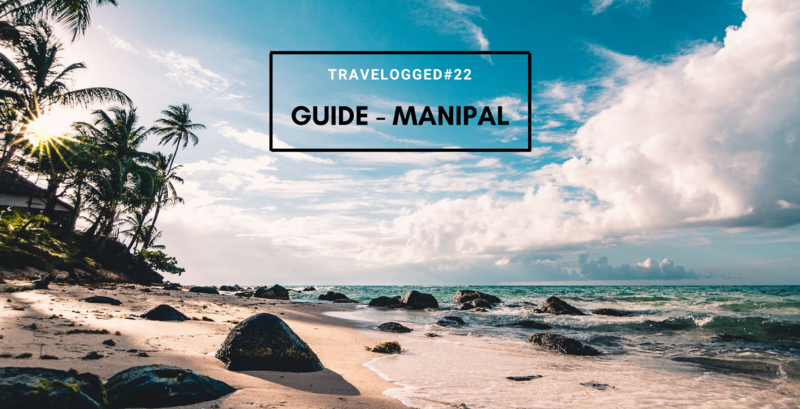 Nobody can deny the fact that Mumbai's attractiveness is enchanted by its glorious getaways, stunning seashores, roaring rivers, staggeringly beautiful architectures and the aroma of freshly cooked street foods, which are its cultural delights. With convivial Air Quality Index, Mumbai has its own seductive smell that attracts tourists from different nations and proves be to a heaven for them. 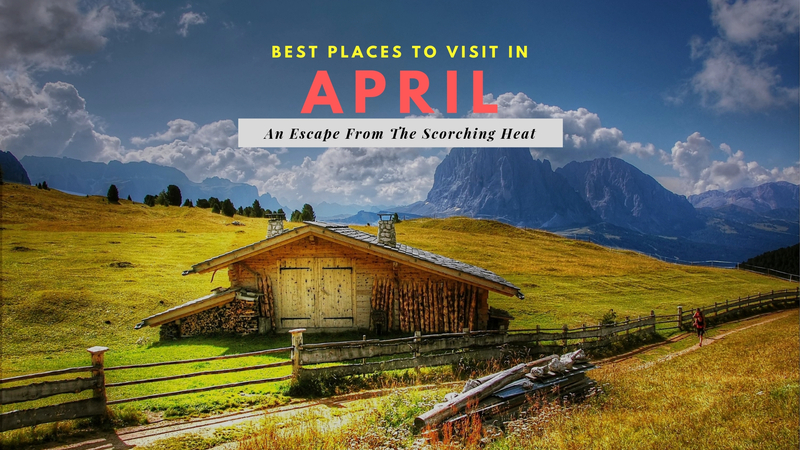 We present you a curated list of places to visit when you are in the "Sapno ki Nagri" Aamchi Mumbai. No journey can be graced without exploring Gateway of India. Bordered by the great Arabian Sea and shadowed by the Taj Hotel, Gateway of India is one of the most valued & emblematic in the country. An imposing edifice, the Gateway of India is a symbol of India's rich history and cultural heritage. The view from the sea of the Gateway complex, especially at night, is as beautiful as that of the Queen's Necklace from the Marine Drive. Experience true grandeur at The Taj Mahal Palace, the iconic sea-facing landmark in Colaba, south Mumbai. This flagship Taj hotel offers you splendid views of the Arabian Sea and Gateway of India, alongside refined century-old hospitality. 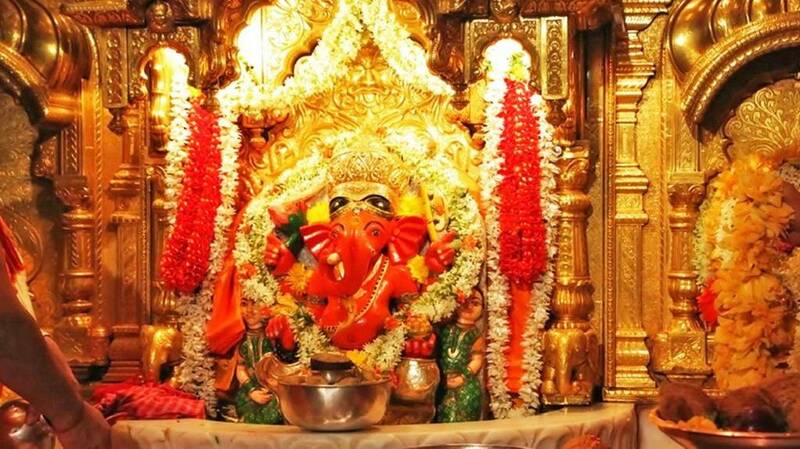 A visit to Mumbai is imperfect without visiting Shree Siddhivinayak Temple, a famous Hindu religious site located in Prabhadevi in Mumbai. Lord Ganesh is the first to be worshipped either you start a new venture or you’re on the pleasant Mumbai Darshan city trip dotted around its bustling streets. 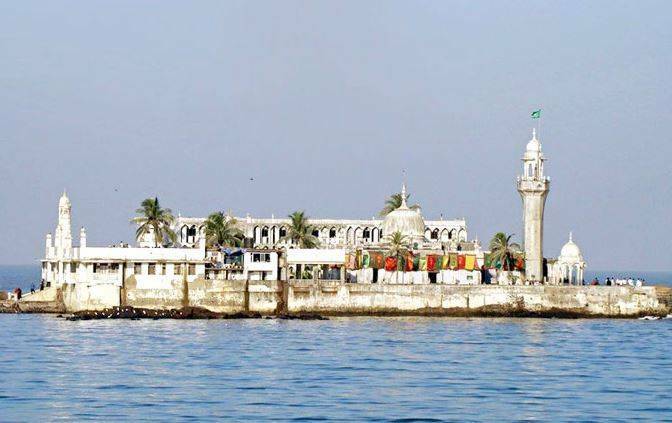 Thinking holidays in Mumbai or one-day Mumbai Darshan Tour? 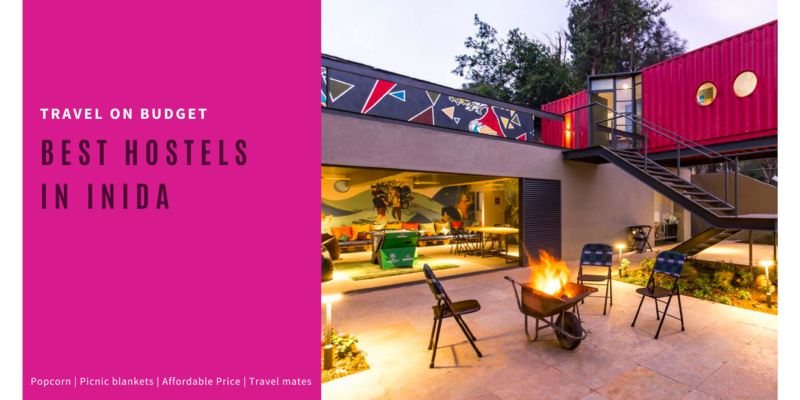 Set at the edge of less popular and well-liked Hanging Gardens, situated on Malabar Hill in Mumbai, Hanging Garden offers bright greenery, kitschy objects, and top-notch sunset views which were designed to arrange a suitable space for citizens to socialize & unwind. Dedicated to its barrister, Pherozeshah Mehta, this garden has impeccable animal shaped hedges and lush green vegetation along with a serene bird's eye view of the Arabian Sea. Spread over 4 acres of land, this Hindu Temple is a well-known international society for Krishna Consciousness and this beautiful addition to the city is located within a walking distance from Juhu Beach in Mumbai. 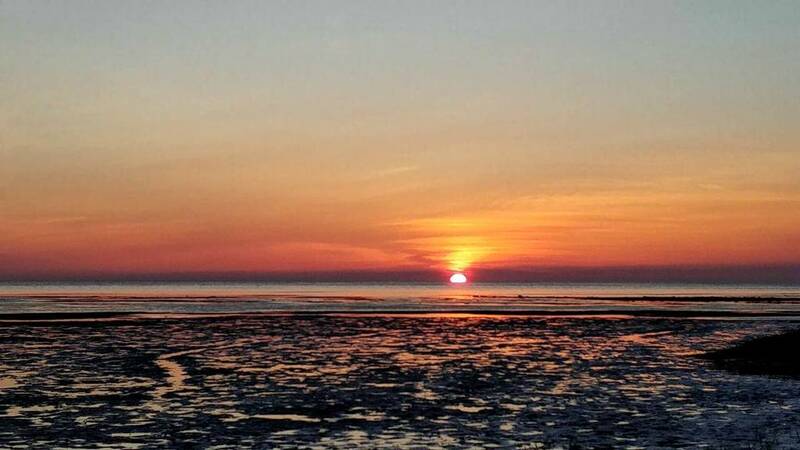 Visiting ISKON with a golden walk along with Juhu Beach might be one of the best things to do on your Mumbai tour. You can go anytime except 1 PM to 4:30 PM and 9 PM to 4:30 AM. 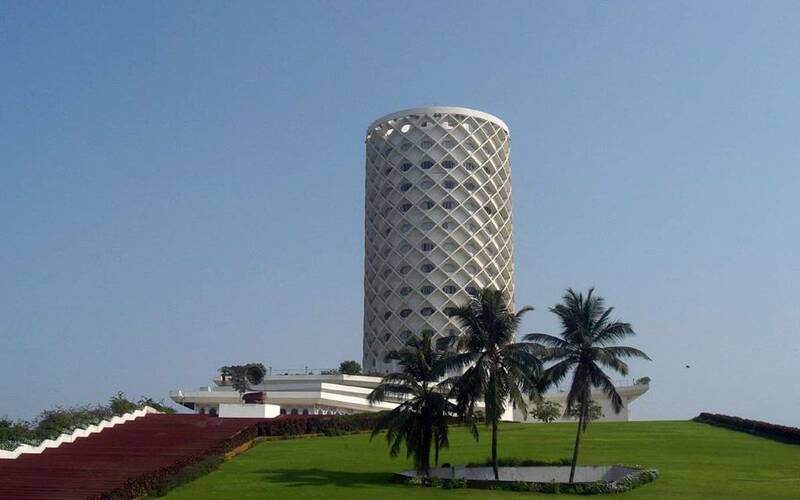 The informative science exhibition that offers all sorts of knowledge regarding mechanics, kinematics, energy, and sound Nehru Science Center has been constructed in Worli with its prime objective of spreading science education among all and it’d be one of your most enjoyable day trips ever. The dedicated team conducts a gamut of activities including science seminar, teachers’ training programme, film festival, sky observation programme, 3D films and odyssey shows. The center remains opened 10 AM to 6 PM all days throughout the year except two days: Holi & Diwali. Who doesn’t love to see varieties of fish in a beautiful aquarium? Here is a must-visit attraction located on Marine Drive in Mumbai, a perfect destination for one-day sightseeing which takes an average 1 to 2 hour. 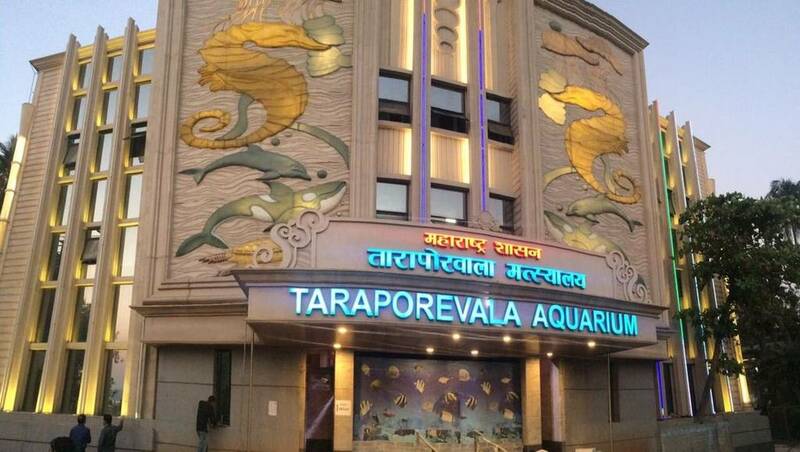 Taraporewala Aquarium exhibits an ultimate collection of marine, turtles, sharks and few rare species of seashells. Marine drive is a must visit if you are in Mumbai. You should try and visit it in the evening when the lights are on and that is when you get to experience the 'Queen's Necklace ' form due to the lights. It's also a sight if you are landing in Mumbai in an aircraft. There are many highrise hotels and cafes on Marine Drive, you go visit those and experience the lovely view or take a drive. Not your typical swimming and bathing beach, this beach is best visited on weekend afternoons and evenings when it comes alive with children's rides, carnival-like amusements, and food stand. A must visit place for true fun and amusement. Bandra Worli Sea Link is one of the few bridges that is a cable-stayed with pre-stressed concrete-steel viaducts to hold it in place. 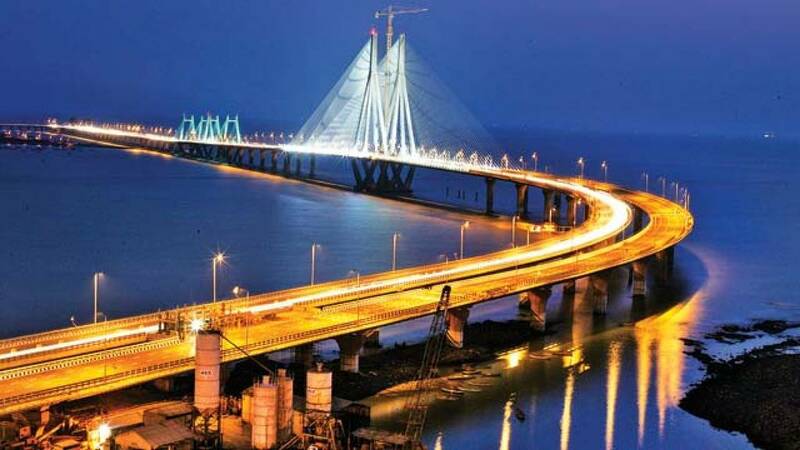 Spanning across the arc of Mumbai's coastline, this sea link is a civil engineering wonder that reflects the modern infrastructure of the city of Mumbai. The bridge is designed to cater around 37,500 vehicles per day while reducing the time travel between Bandra and Worli by a big margin. Mumbai’s biggest and best museum displays a mix of India-wide exhibits. 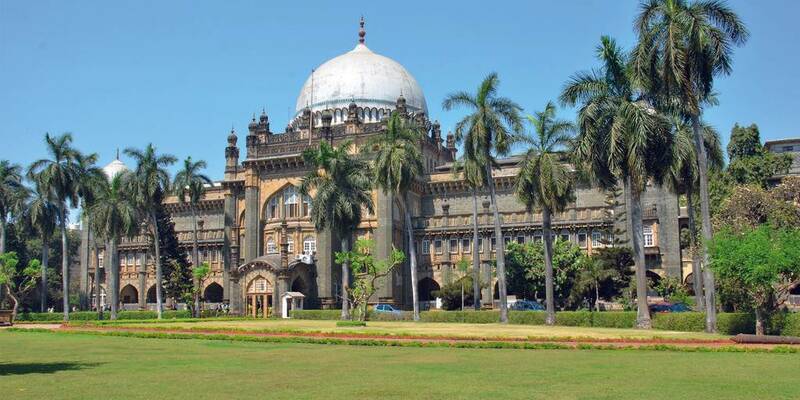 The domed behemoth, an intriguing hodgepodge of Islamic, Hindu and British architecture, is a flamboyant Indo-Saracenic design by George Wittet (who also designed the Gateway of India). Its vast collection includes impressive Hindu and Buddhist sculpture, terracotta figurines from the Indus Valley, Indian miniature paintings, and some particularly vicious-looking weaponry. From fine dining to casual luncheon scenes - we've got the best restaurants in Mumbai covered for you where they offer exquisite meals for an unforgettable dining experience. The home-style authentic Italian restaurant in Mumbai, open for lunch, dinner as well as midnight meals, Celini, embraces traditional Italian recipes and presents them with a modern approach. Exuding an understated elegance, the interiors of Celini Mumbai are contemporary and simple. This Mumbai restaurant showcases a wood-fired pizza oven, rotisserie, and charcoal grill – all built into its show kitchen designed by Molteni of France, where the sights and smells of Chef Alessandro Persico’s Italian cooking invades all the senses. 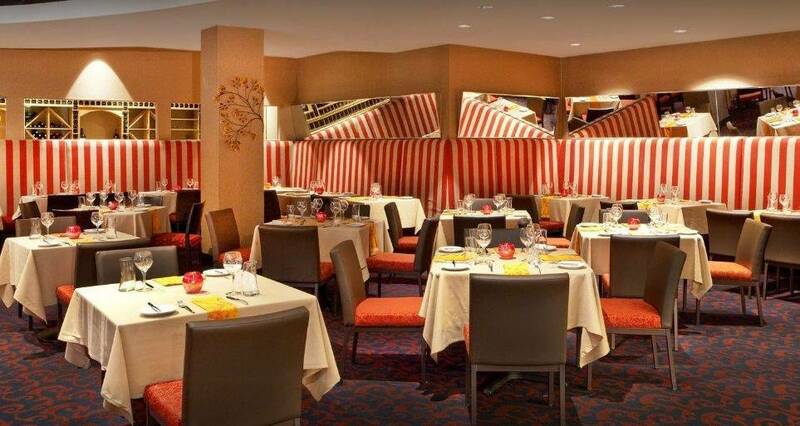 The restaurant has an exhaustive list of delectable wine and multiple seating options like table booths and lounge. Said to be one of the perfect and best restaurants in Mumbai for a family dineout. Rising from the ground floor at the lobby and reaching way up to the glass ceiling, it dwarfs even the six palms that give the Pavilion an alfresco feel of a Mediterranean town square. The contemporary furniture with marble-topped tables give it a relaxed and laid-back feel. 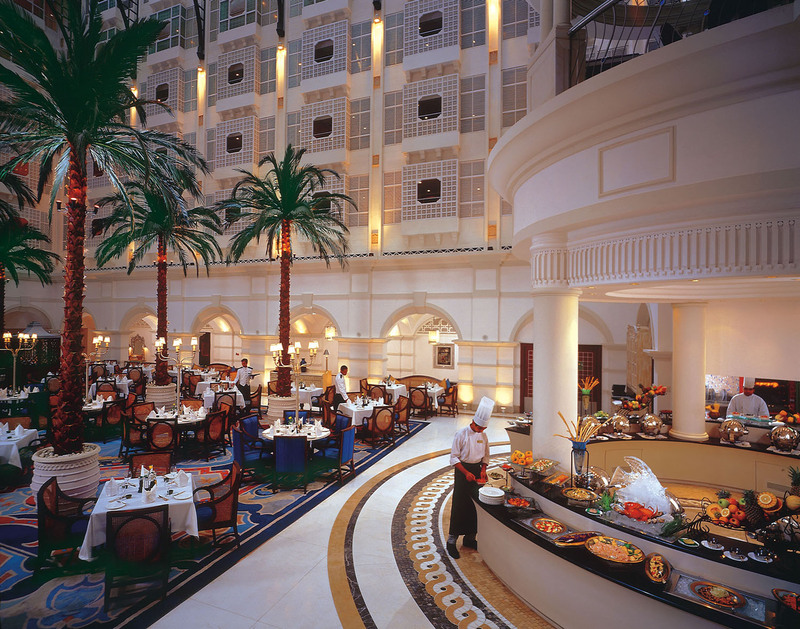 The Peshwa Pavilion serves arguably the country’s finest and most elaborate breakfast, lunch and dinner buffets, showcasing the hotel’s expertise in Indian, Asian and inventive international cuisine. Naturally lit through the wall to wall windows that afford refreshing views across the ocean during the daytime and spectacular views of glittering lights along Marine Drive in the evening, Ziya is bright, spacious and majestically ambient that best fits into the category of the best restaurants in Mumbai. They offer a la carte options and a specially curated gourmand menu, intended to take you on a culinary journey through India. To enhance the dining experience, they have hand-selected wines to compliment each course on the menu. The table offers a unique cooking style with global accents and nuances. The menu comprises of small and large plates, snacks and sides are intended for sharing and create a lively social atmosphere. The ambiance is cozy and warm with wooden furniture, brick-like designed walls, and black ceiling. The glass window on one side provides a great view of the city, especially at night. 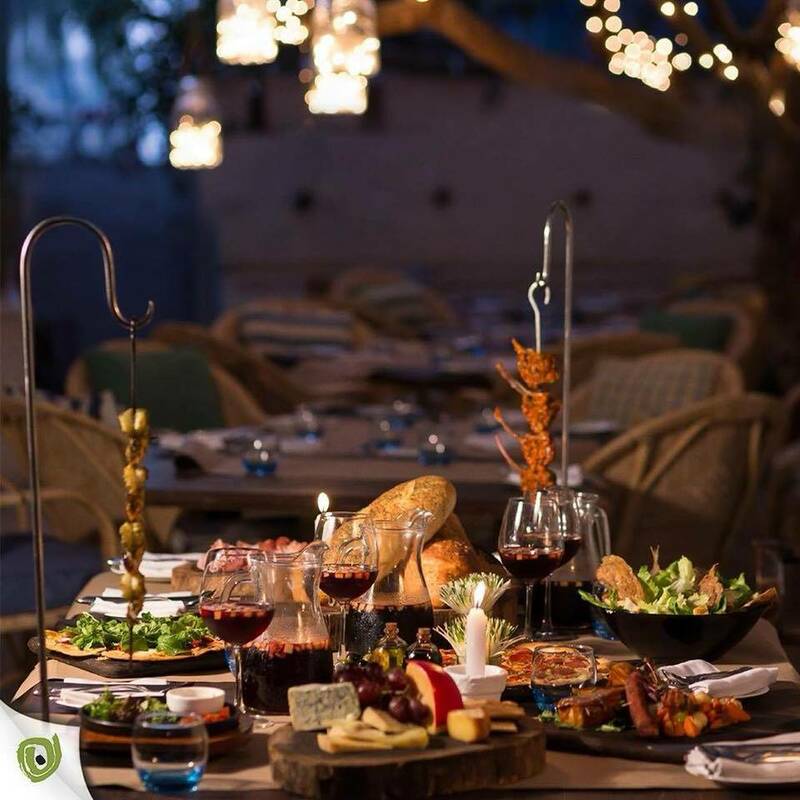 This uber chic Mediterranean lounge bar and restaurant is one of the first places to introduce the concept of Mediterranean fare and fun. The flagship Olive Bar & Kitchen is something of a landmark. 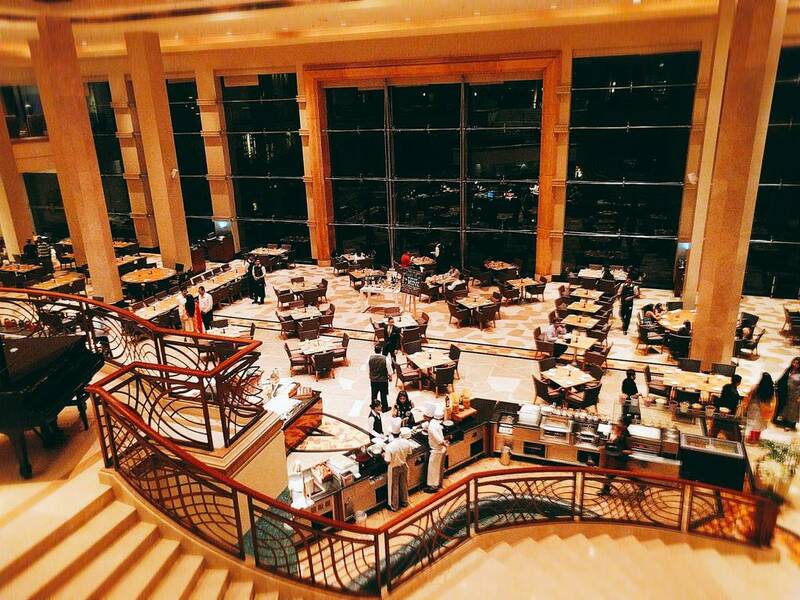 A place where the city’s happy people meet to dine well, to linger over laughter and conversation. 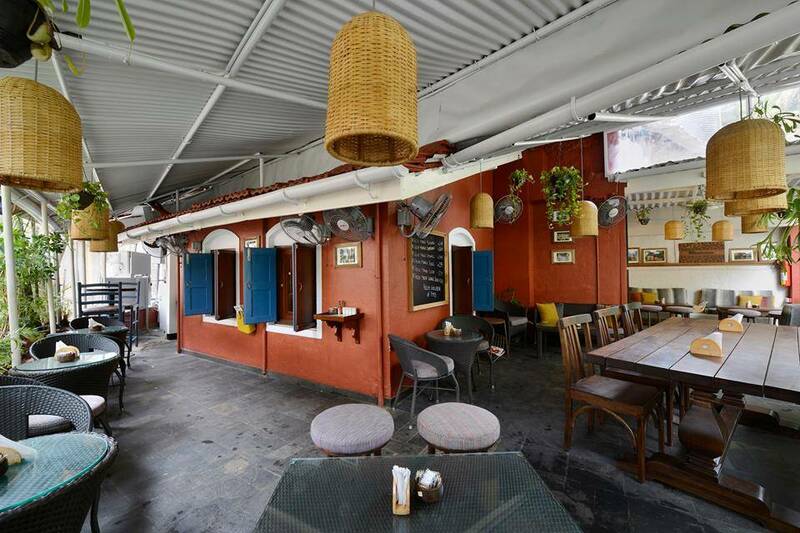 Just like the city, Mumbai’s Olive is a bit of a chameleon: at bar nights on Thursdays, the place explodes with music and high spirits but when you visit this place on a Sunday, you can hear lazy laughter all across the sunlit courtyard. 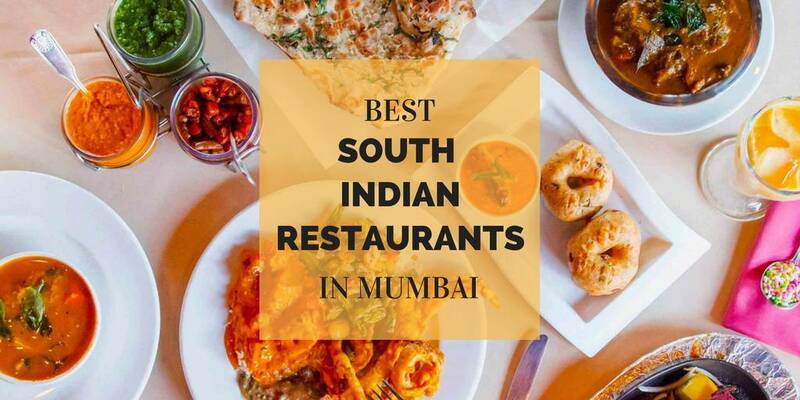 Want to know about more best restaurants in Mumbai? 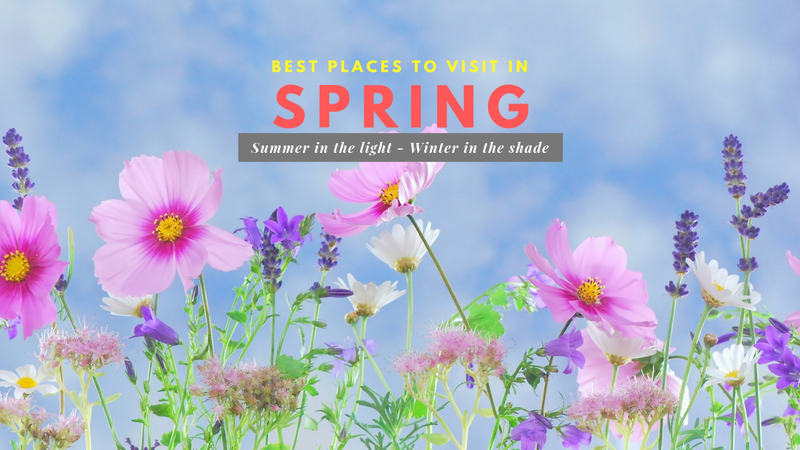 Click here to find the top ones right here. India's cosmopolitan city - Mumbai has without any second doubt the best nightlife that you could find anywhere else in the country. The place is at any time of the hour young, wild and crazy with enthusiasm and energy. The place offers a very unique drinking experience as the bars are reasonably priced, the crowd is always top notch and the fun is guaranteed. So, to make it simple for you we have curated a list of the 15 best pubs and bars in Mumbai where you can enjoy the Mumbai nightlife to it's fullest! 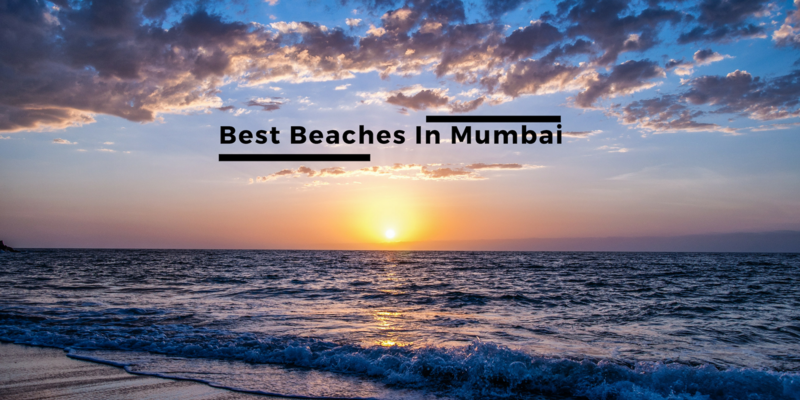 These are without any doubt the best drinkeries and fun places in Mumbai in business. With cocktails of uncountable varieties as the name suggest, the Bombay Cocktail Bar is the best bar in Mumbai when it comes to alcohol. Take your pick from well-curated signature cocktails or go for the regular classics you definitely won't get disappointed. The place is definitely worth the hype it gets and the playlist is usually peppy and interactive which keeps up the vibe of the place. 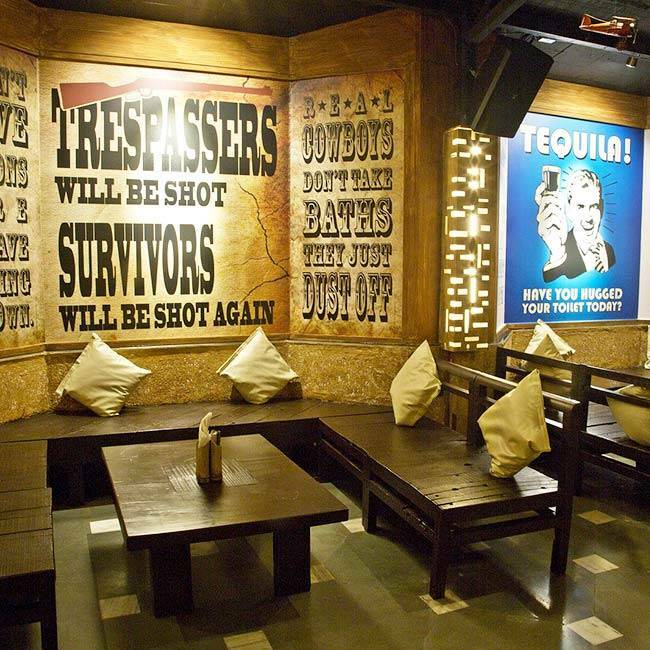 Designed to look like a local neighborhood bar in New York R'ADDA has some quirky Mumbai nightlife set up in the ambiance filled with some real show-stealers. 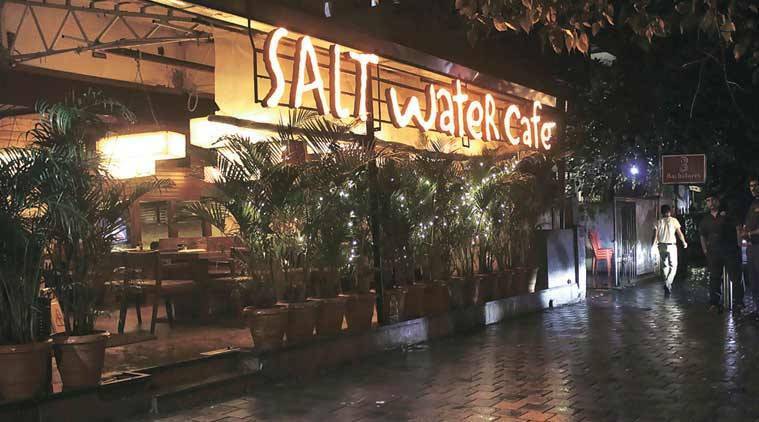 The whole ambiance created by small things like the local touch menu, tableware, quirky Indian text, the small carts and buckets and everything makes the whole place one of the best night out places in Mumbai. Posh, stylish and contemporary, the Gateway Taproom is the perfect place to drink in style. When at Gateway Taproom, it's all about beers and cocktails. This is an amazing place to tantalize your taste buds with some of their exotic cocktail drinks accompanied by the delicious munchies. craving is just perfect now! 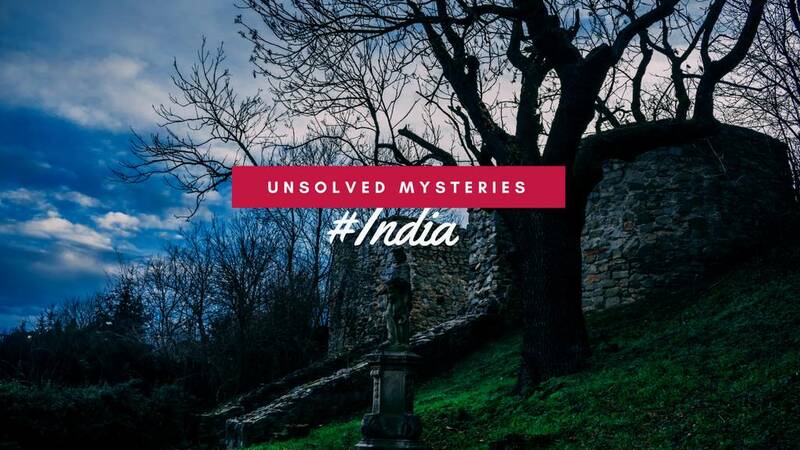 The ambiance is classily tagged with dim lights and some amazing western music making it a kind of pub in Mumbai you should definitely be at. If a seductive sunset cocktail is your idea of the perfect Pub in Mumbai to enjoy a drink and relax, then Dome is the place for you. Dome the InterContinental is all about views! Located on the Marine Drive with the view of the gorgeous Arabian sea, this open-air lounge is a beautiful setting. Munch on the delicious food with the best cocktails, wines, and cigars and have the best of your time. Click here to know about more best bars & pubs in Mumbai. Are you fond of shopping? Then it's time to reframe your shopping checklist and hit-on to these 10 best malls in Mumbai. All you need to do is to hit on to these malls and make your shopping wishlist come true. Get the best of brands and food outlets at these amazing malls which offer an exciting shopping experience. We've curated a list with the best mall in Mumbai from every corner - now it's on you to decide where are you heading this weekend! 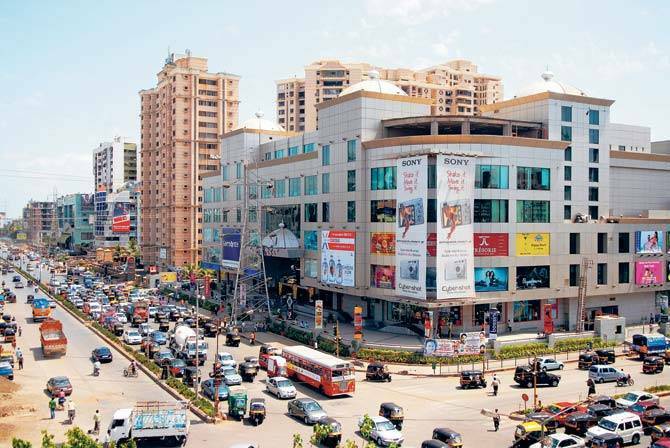 High Street Phoenix, formerly known as Phoenix Mall, is one of the largest shopping malls in India, situated in Lower Parel, Mumbai. 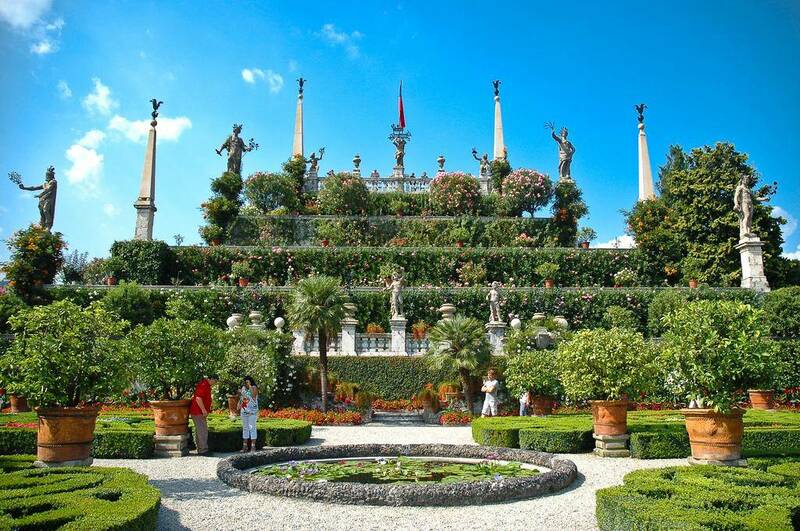 Its gross floor area is 3,300,000 square feet (310,000 m2). In addition to the mall, the compound hosts a five-star hotel, a multiplex, commercial space and a residential tower. The mall consists of the Palladium, SkyZone and Grand Galleria. South Asia’s largest 20 lane bowling concourse, was first started here in 1996. India’s first Hypermarket concept Big Bazaar was introduced in 2001 at High Street Phoenix. We can actually call it the biggest mall in Mumbai. Infiniti Mall, Malad comprises inter alia of various areas for shopping, multiplex theatre complex, entertainment & games, food court, recreational area, multipurpose hall/ unit, offices, storage, parking, services etc. This Mall caters to the needs of the prime catchment areas from Andheri to Borivali, residences to many celebrities, film and TV stars, prominent business communities etc having high disposable income. It's surely one of the best malls in Mumbai! 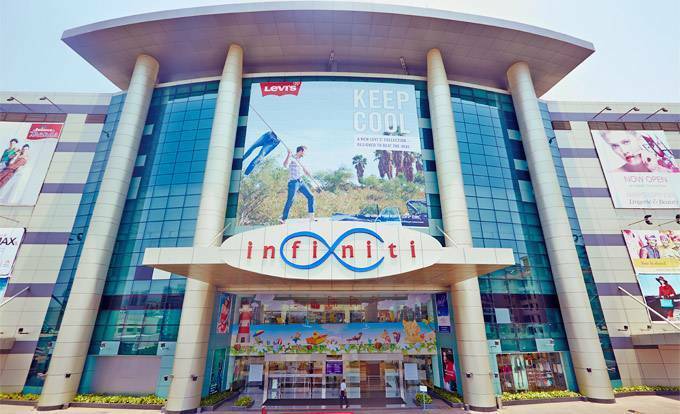 Infiniti Mall, Andheri one of the first iconic mall in Mumbai suburb started its operation in October 2004. Infiniti Mall, Andheri is located adjacent to Raheja Classique Complex at Link Road, Oshiwara, Andheri (West), Mumbai. The mall covers an approximate area of 3,10,000 square feet with 65 stores, a 6-screen multiplex (PVR Icon), Food Court, family entertainment center & restaurants besides shopping. From movies to games and shopping this place has it all. Raghuleela Mega Mall at Kandivali (West) is a comfortable, convenient and popular shopping mall offering shopping, entertainment and food. Raghuleela is a favorite hangout for youngsters in Borivali, Kandivali and Malad area. It’s close to Vashi Station – hardly a 200-meter walk. The Inox movie theatre is a great place to enjoy movies. The mall is a funnel-shaped glass dome which lets in natural light, a great power saver. It consists of a number of small outlets selling local brands in clothing, shoes, cosmetics etc. There are budget salons and tattoo parlors which draw in a lot of young students. Big Bazaar and the multi-brand store Central occupy a huge floor space in the mall. Missing out on one of these best malls in Mumbai would definitely be a crime for every shopaholic. Shopaholics, are you still searching for more? 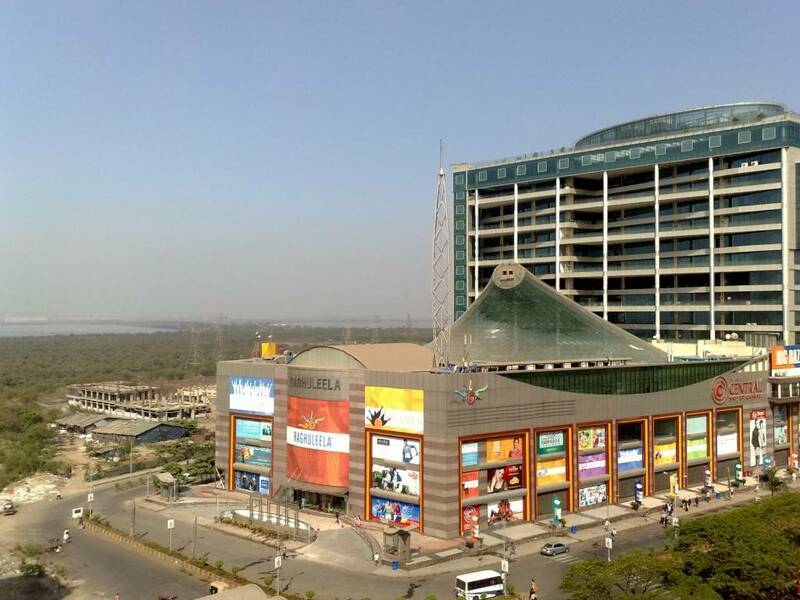 Click here to know more about the other best malls in Mumbai? 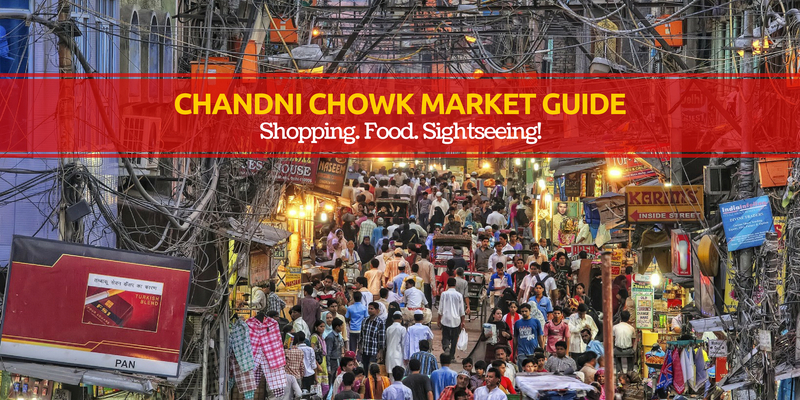 It's time to ditch the cliched shopping sessions at malls and take a street shopping tour around the city. Mumbai, being a city of hopes and dreams is definitely fulfilling our shopping wishlist too as it has one of the best street shopping markets in India. 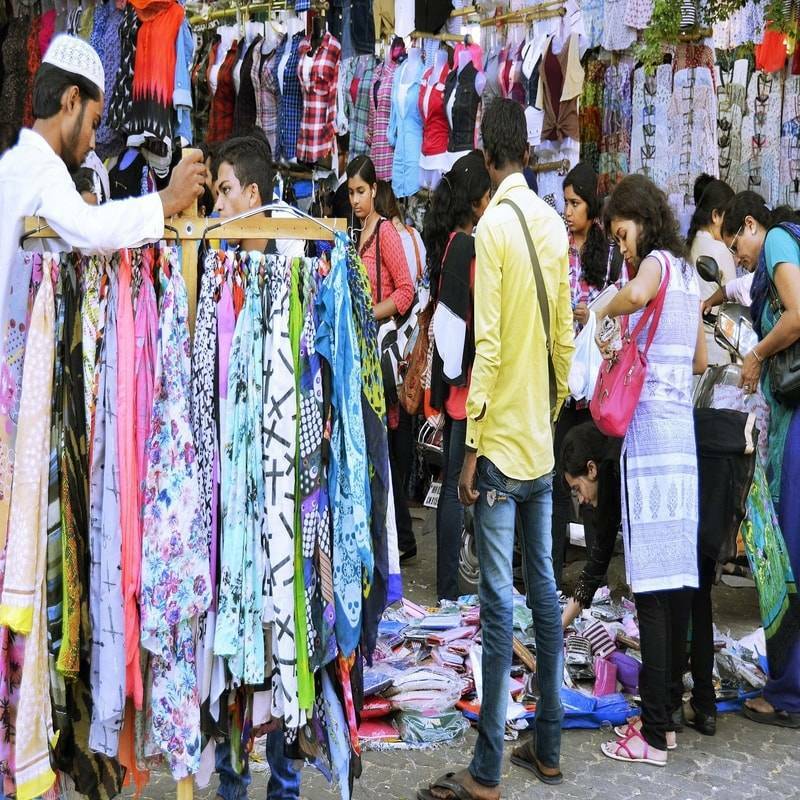 If you're new in town or holidaying in Mumbai then your trip is incomplete without a street shopping session. You just cannot miss out on what they sell the best as you'll be spoilt for choices - Be it clothes, accessories, footwear and the list never ends. We've made it easier for you by curating the best of the street markets you can explore and have a crazy shopping experience. 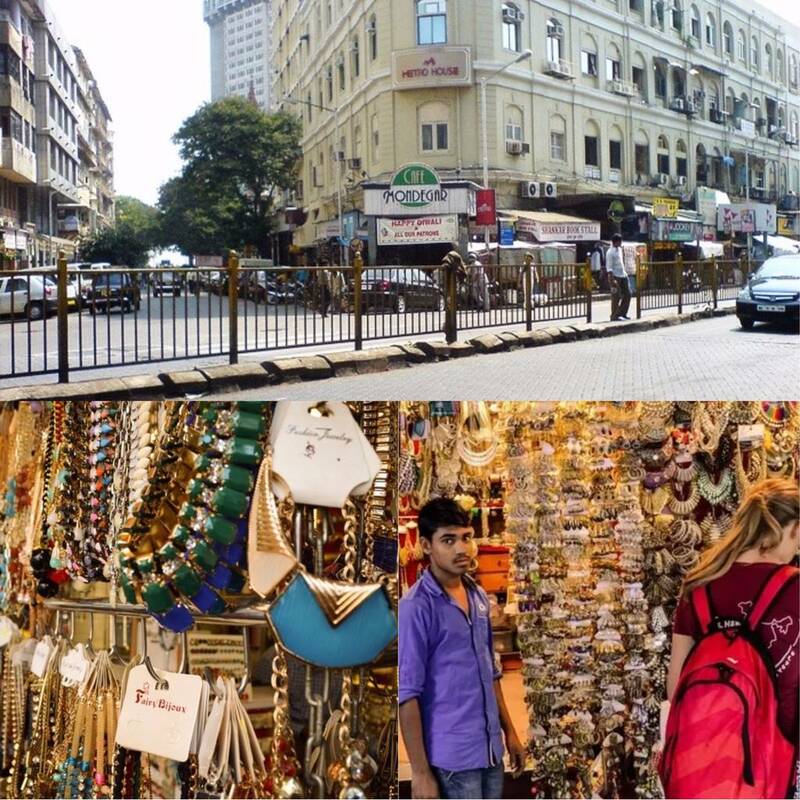 Mumbai street shopping will definitely get excited as shopping places in Mumbai have their own charm. This one is definitely a shopper's paradise as they have everything which is trending this season. It's a long lane with the trendiest of footwear, clothing and bags which will leave you in doubt as to what seems the best. You'll totally end up shopping for more than you thought of as almost everything will seem to fit in your budget. 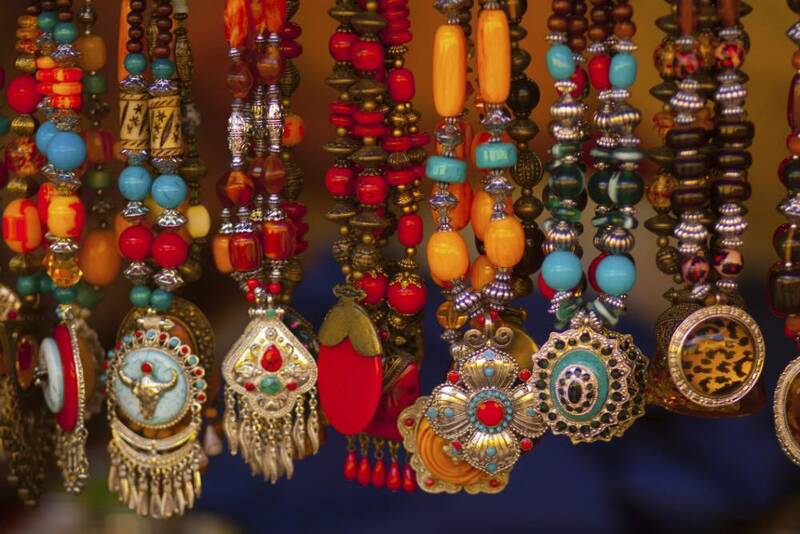 Colaba Causeway takes the lead when it comes to selling the most beautiful accessories trending huge this season. 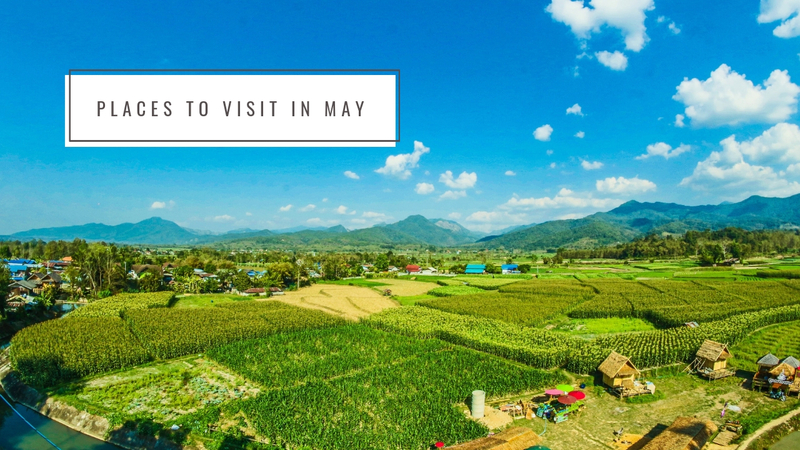 The vendors sell stunning danglers, customised necklaces in both artificial gold and silver along with sparkling artificial rings and a lot of accessories you'll fall in love with. This is not it as the market is not just about accessories but they also sell handicrafts, footwear, clothes and books. If you're planning to go street shopping in Mumbai then you just can't miss out on Hill Road. This one market has got it all you've wished for and we totally agree. As soon as a fashion trend hits the city, Hill Road makes sure they've got in the market. You'll find almost everything here - crop tops, ruffle tops, dresses, jumpsuits, heels, sneakers and accessories. It's a never-ending list of things you'll find here to get a complete makeover. Looking for more? 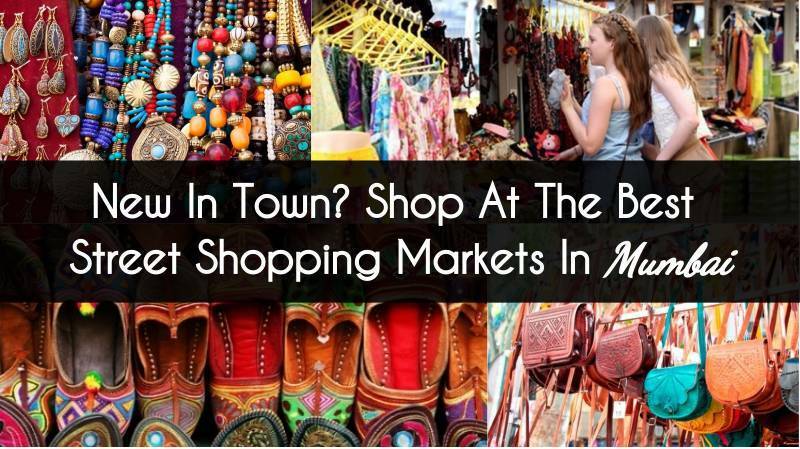 Click here to know more about other street shopping markets in Mumbai. 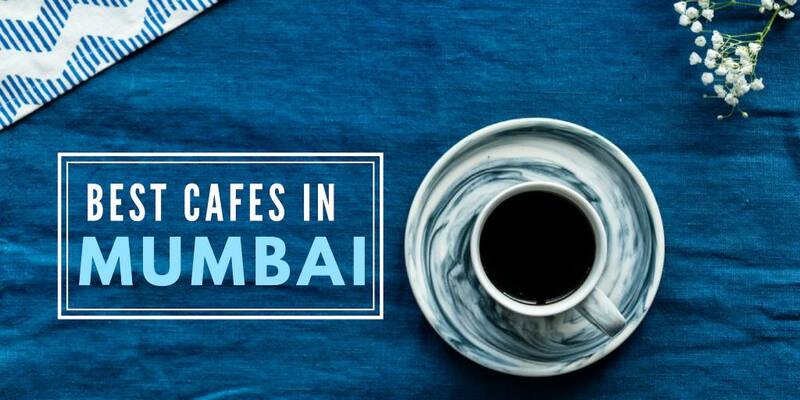 Sip on the best coffee in Mumbai at these beautiful and offbeat places in Mumbai, These best cafes in Mumbai are perfect for a chill evening to sip on a cup of your favourite coffee and binge on some quick bites. Sip on your favourite coffee while having an exquisite meal at these best cafes in Mumbai with an excellent ambience and decor. 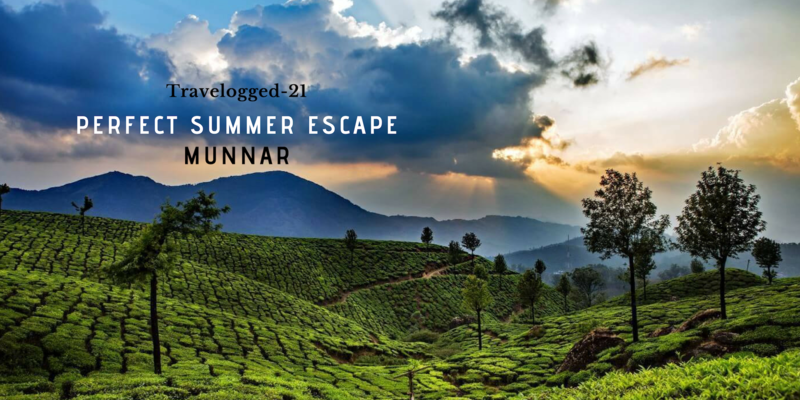 This place comes across as one of the hidden gems in the bustling city of Bombay. 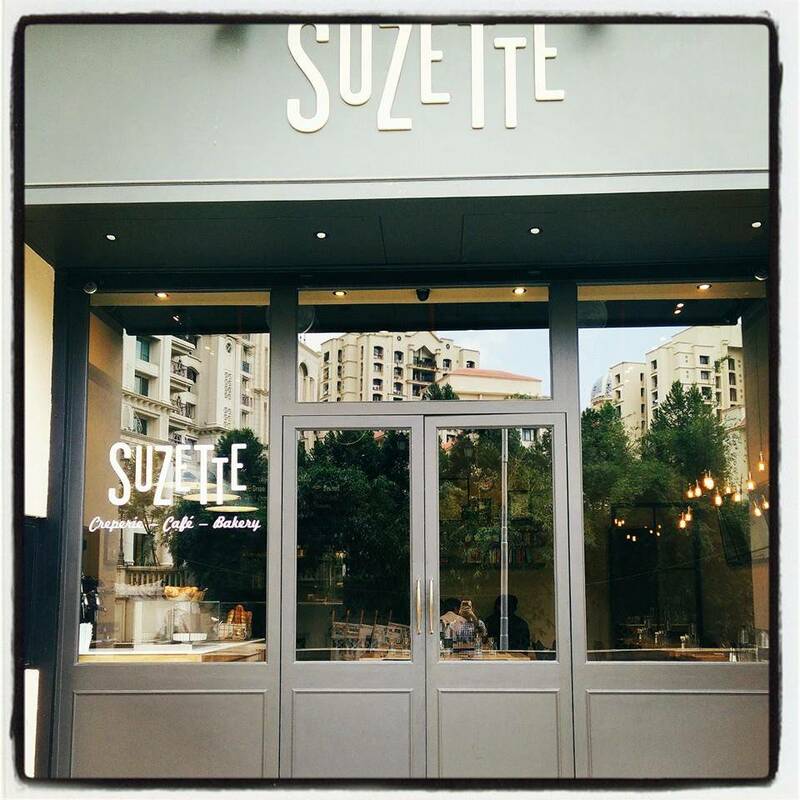 If you're always on the lookout of a pretty little corner with soothing music as background score allowing you to read and write while relishing some lip-smacking French desserts and food at the same time, Suzette is that hard-to-find pretty little corner. 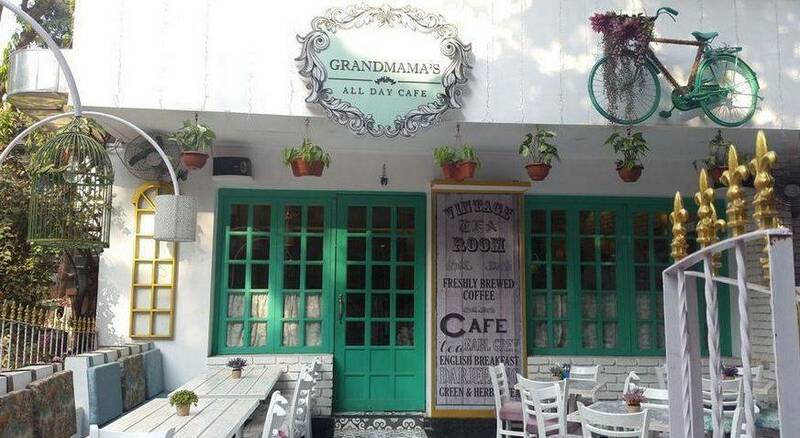 Their hot chocolate is absolutely the best we have had so far - it's surely one of the best cafes in Mumbai to have a chilling time with your loved ones. This open-air cafe surrounded by gorgeous trees, bamboo and plants have been a home to tourists as well as many regulars. 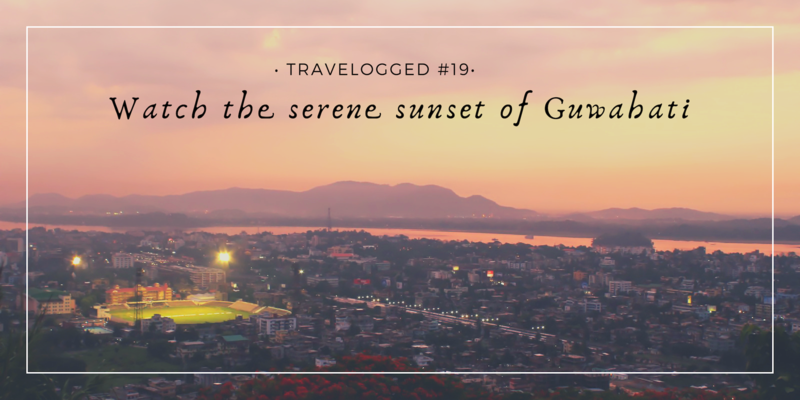 It's an all-time favourite place for artists to meet up and brainstorm their ideas or in an otherwise bustling city, to just sit and read in peace. 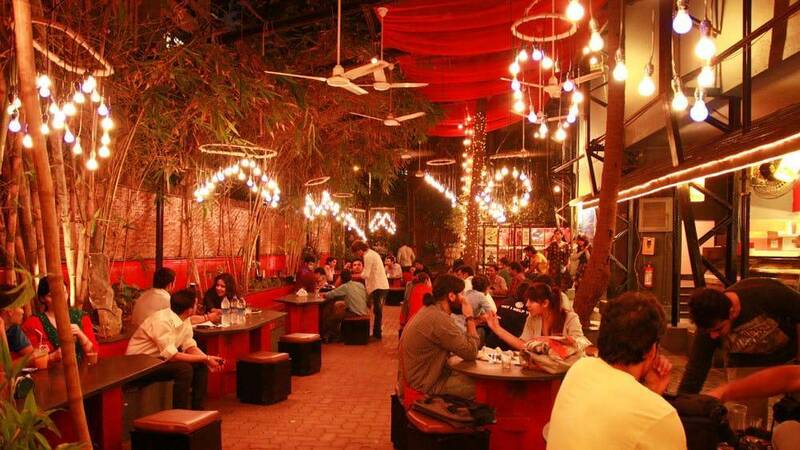 Owing to the sharing of the campus with the age-old and very well-known Prithvi Theatre, the cafe's popularity goes way beyond just theatre enthusiasts. Their outdoor seating is definitely the highlight of this beautiful cafe frequently visited by Celebrities as well. 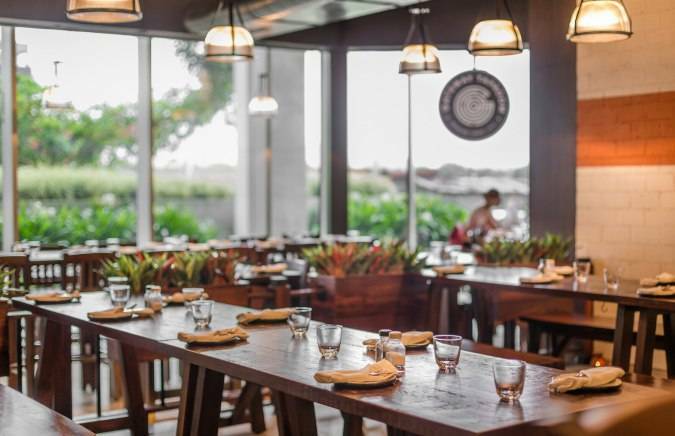 This cafe in Mumbai offers a wide range of preparations from European and Mediterranean cuisine, the interiors are chic and classy with its high-end decor that is pleasing to the eyes. The amiable and prompt staff service also adds as a bonus. The menu is fairly rated considering their scrumptious meals. 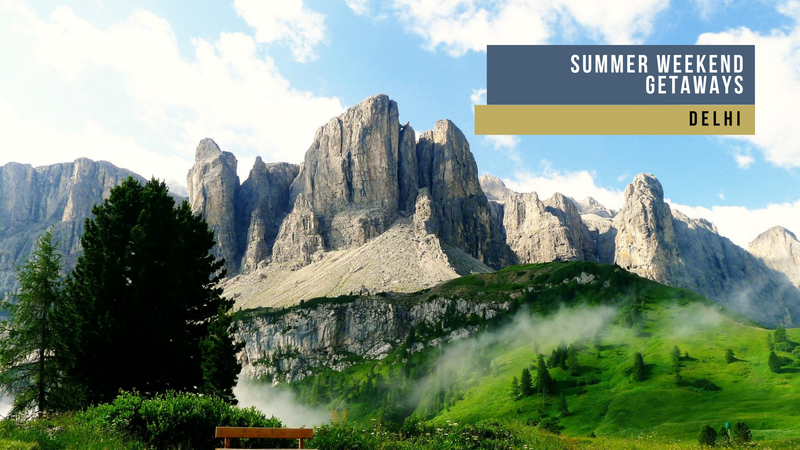 Must haves: Melon Sangria, Pasta, Tiramisu, Roast Chicken, Lasagne, Risotto and Mocktails. Still not satisfied? 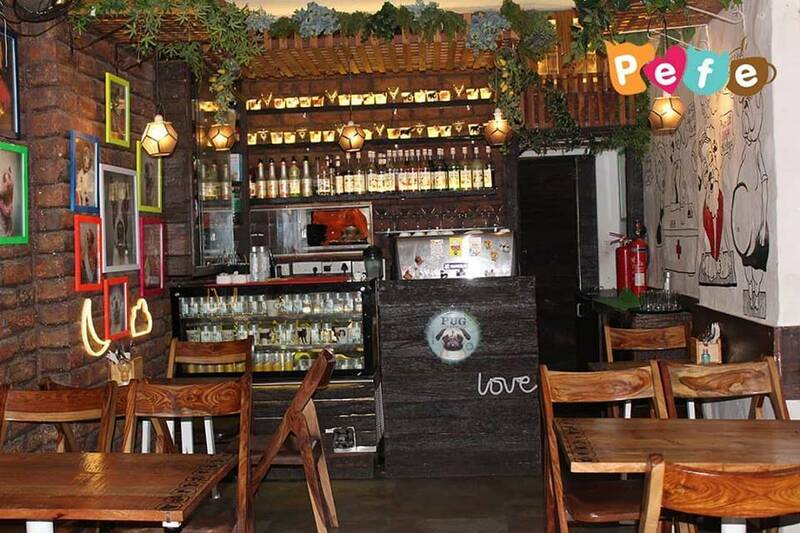 Click here to know about the other top cafes in Mumbai which includes Pet Cafes, Book Cafes & More. 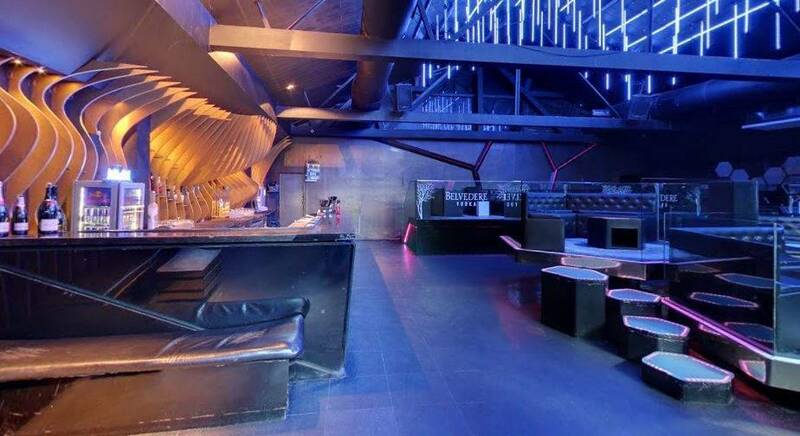 Re-makeover multiple times, Tryst is still one of the favorites and best club in Mumbai for youngsters. If you want to keep partying throughout the night and even post 3 am, then this is the place to be. It's a massive nightclub with a huge dance floor and the DJ playing really good commercial music. The party kicks off at around 12 and goes way past 3 am. The LIT here is extremely strong and should keep you going for at least a few hours before you head home. A bit expensive but definitely worth it. DROP is a high energy nightclub with unique boho-chic style art that reflects urban city cultures, coast to coast. With its vast seating and comfortable atmosphere, Drop is surely a place suited for unwinding, parties and late-night soiree. Equipped with a full bar and specialty chef, Drop hits both sweet spots. Experience one of the best clubs in Mumbai with luxurious indulgence and sought after privileges designed just for you. It is also the best corporate party venue in Mumbai. 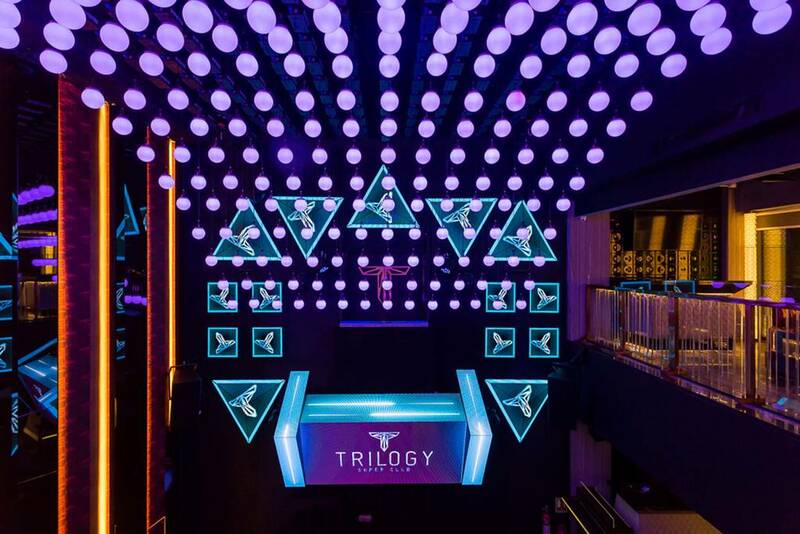 Trilogy offers the perfect ambiance for just about everything that defines nightlife indulgence – right from being a world class pub to a high-flying club that always promises a great time. Set amidst the bustling city of Mumbai with a backdrop of the Arabian Sea, Trilogy is definitely the discotheque to be spotted at. It is truly the best nightlife spot, South Mumbai has to offer. Enter Matahaari and you’ll love the luxurious and welcoming ambiance it has to offer. 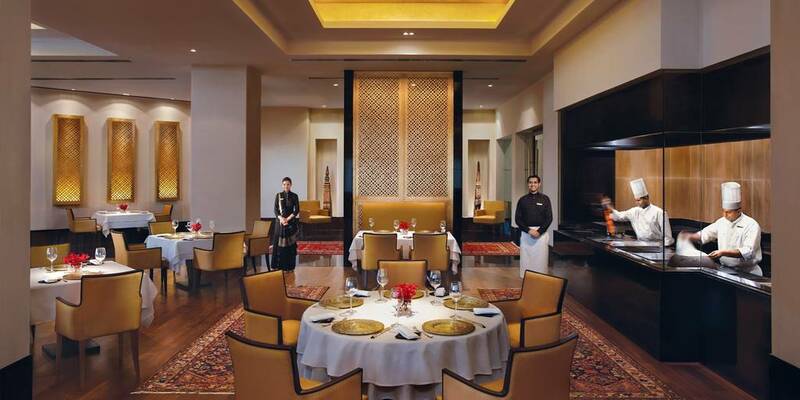 Stellar interiors, eloquent decor and a classy way of parting, Matahaari shows you all. The food and cocktails are equally stellar. Matahaari‘s brilliance is really in its extravagance. It is literally like stepping into the chambers of the Dutch spy – Matahari. Still not satisfied? 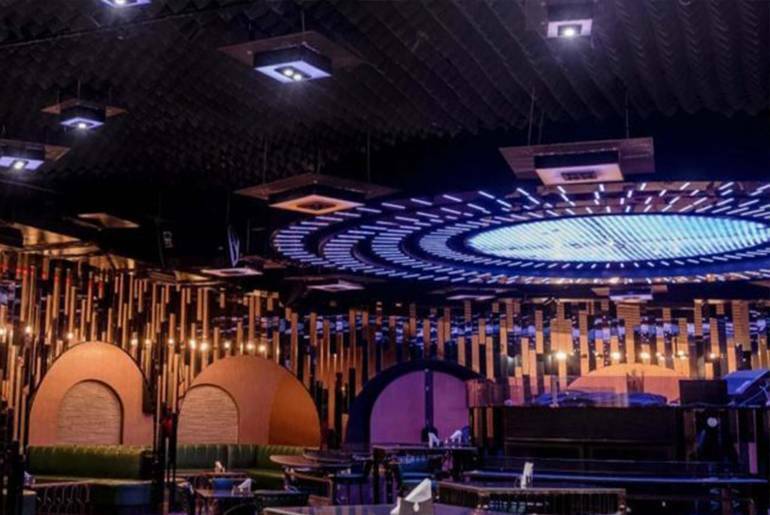 Explore more nightclubs in Mumbai - Click here! Mumbai, a financial center and India's largest city is a beautiful place and can also be called a city of sea views. A dinner dates turn out to be more romantic here as our Aamchi Mumbai is embellished with a number of astounding dining options. 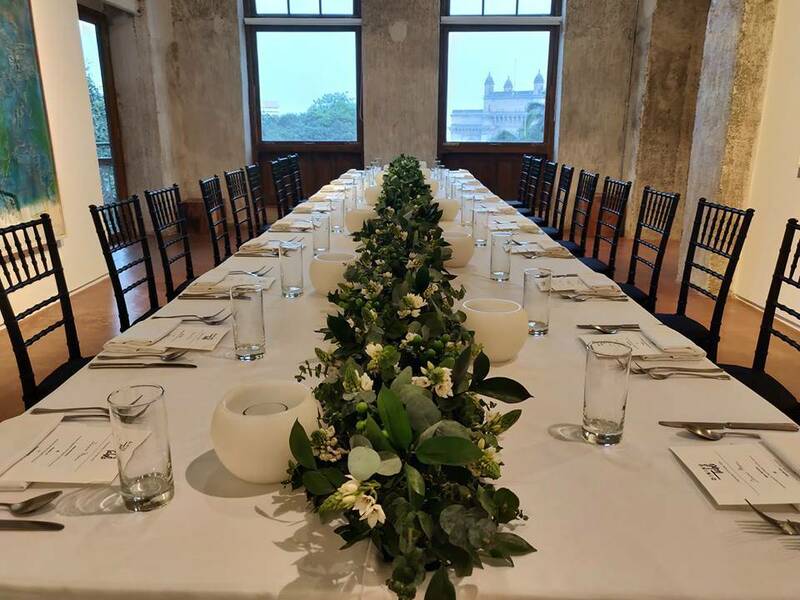 Be it Best Restaurants in Mumbai, Top Romantic Restaurants in Mumbai, Rooftop Restaurants in Mumbai, Fine Dining Restaurants or places in Mumbai or for instance it's the Theme Restaurants in Mumbai you're looking for, this "City Of Dream" is adorned with every beauty and charm. 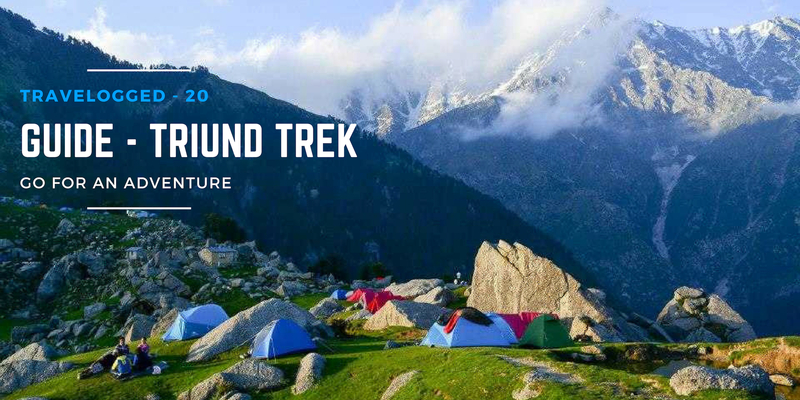 This is one of those cities in India which promises something for everyone. 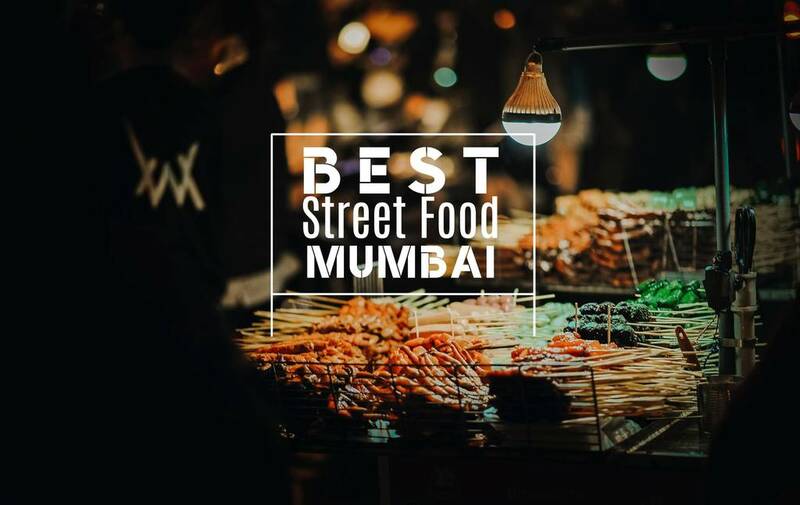 We are not going to list everything that possesses Mumbai but some of the Best Restaurants in Mumbai that everyone must pay a visit atleast once. Heaven is nothing less than dining with your loved one in front of the sea, with the cool breeze and drowning sun. 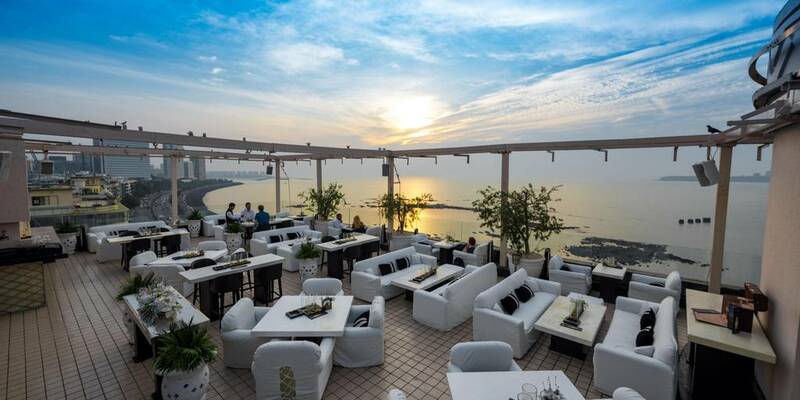 Fall in love with the scenic beauty of the vast sea at these Top Romantic Restaurants In Mumbai. Feast on international fare and indulge in a view of our blooming lotus pond at Lotus Cafe. This international restaurant is open 24 hours a day, so you can indulge in a meal whenever your schedule permits during your Juhu Beach, Mumbai visit. Enjoy mouth-watering preparations and a wide variety of delicious dishes. The exotic seafood is a treat to savor and the other dishes are equally sumptuous. To top it all, the desserts are equally worth waiting for a table at global fusion. Yes, the sushi and sashimi are also top notches. 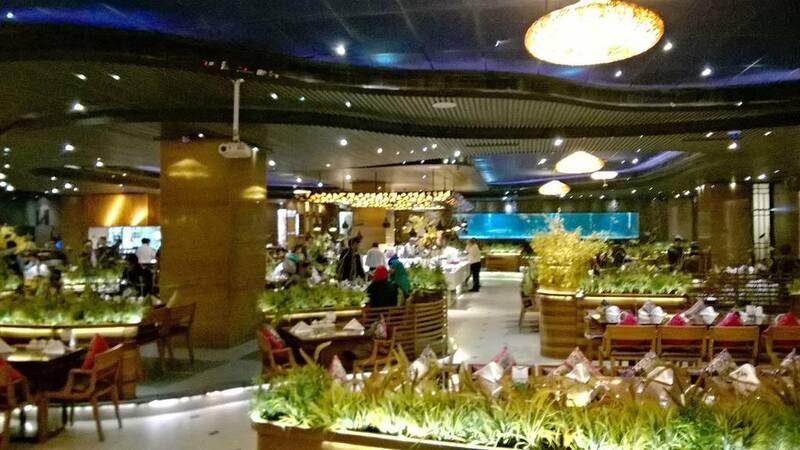 Global Fusion is a favorite haunt for most Mumbaikar who loves Oriental food and buffets which ultimately makes this place a great choice amongst all the best restaurants in Mumbai. 1Above comes across as an elegant space. Wooden gazebos and cozy sofas are interspersed with a few high tables and bar stools. A large well-lit bar dominates the space. Adjacent to the bar is huge LED lights that are supported with wooden sticks. 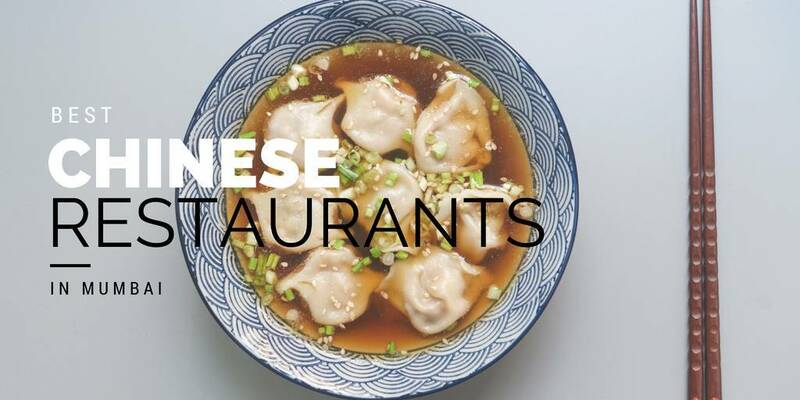 The menu is exhaustive and comprises of soups, salads, sushi, dimsums, tandoori dishes, and pizzas. Dining at Sheesha Sky Lounge is an experience as much as a meal. The open to sky themed restaurants are conceptualized and opened Pan-India by Ali Reza Abdi, an Interior Designer by profession but a Foodie at heart. Ali Reza wanted to design a restaurant where the customers could enjoy a memorable evening under the starry sky with great soulful music and food that is tastefully divine. 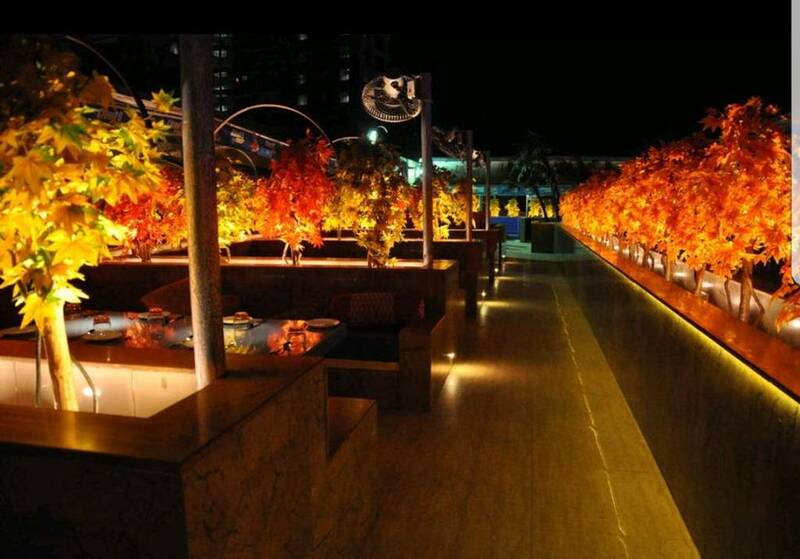 Sheesha Sky Lounge secure our bucket list of best restaurants in Mumbai for an Incredible rooftop experience. Still searching for more ? Click here to find more places for an impromptu date in Mumbai. Q. Which is the best way to tour Bombay in one day? A. Get a ticket for Mumbai Darshan (the BEST service) or take Ola Mumbai Darshan (new). 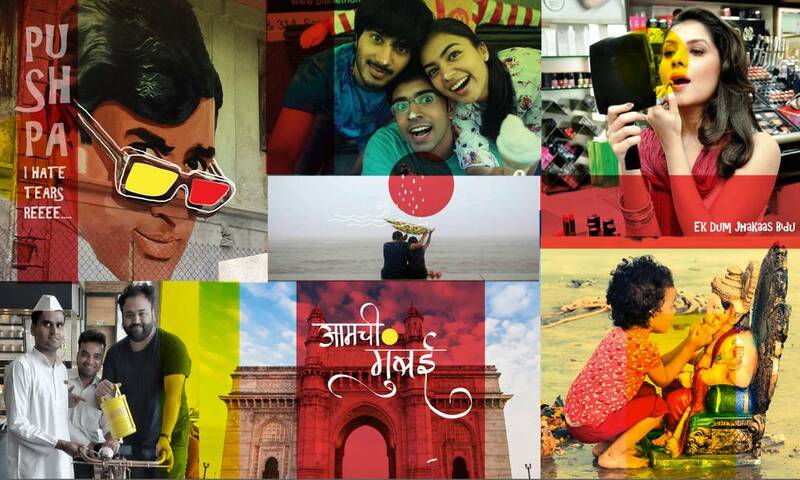 With these, you will be covering all major Mumbai highlights like Juhu beach, south Bombay etc. Q. Is it legal to spend the night at Marine Drive, Mumbai? A. You can sit there easily till 1 A.M and enjoy the cool breeze from the Arabian sea and beautiful lighting of the city. After 1 A.M police patrolling team will come and start dispersing the crowd from the place.